This is a Lovely French Fleurs Image! 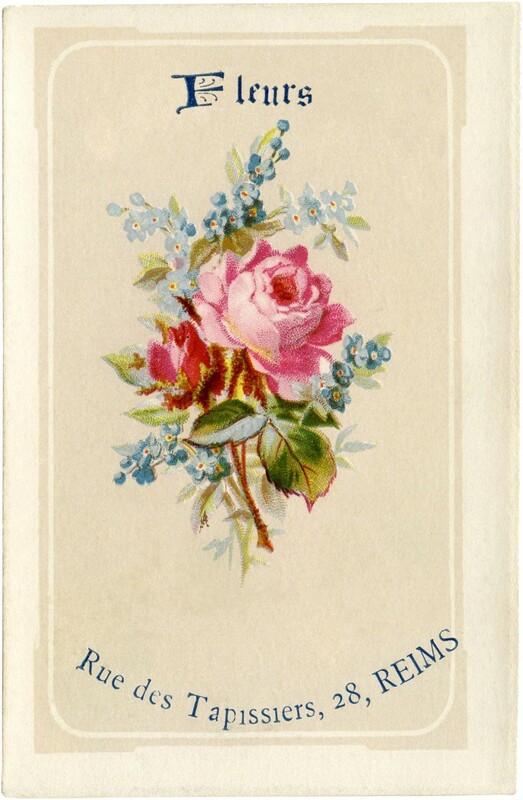 Shown above is a pretty French Flower or Fleur Advertising Card. The image features a beautiful bouquet of Pink Roses and Blue Forget Me Nots. Such pretty colors on this one! The whole thing is framed up with a subtle ivory border, and there is a French address along the bottom edge. Nice for your Spring DIY or Craft Projects! You might also like another beautiful Pink Roses Card, with Lily of the Valley, you can find that one HERE. Vintage Asian Floral Design Image! 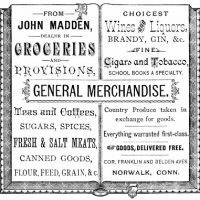 Royalty Free Images – Old Book Graphics Free Pink Rosebud Download – Pretty! Love it – always love visiting your page. Hi. How do I download your beautiful graphics? I have looked at them for a long time and haven’t known how to download but I really cannot resist this one. Thank you. First click on it to bring up a larger version. Then lift click on it and when the little window comes up choose Save As. Then choose what folder you want to keep them in and click on that folder. If you don’t have a folder to put them in, choose New Folder, name it, click on it, then Save. This should work if you have a PC. I’m not sure about a MAC. In my reply above, it should say left click, not lift click. Sorry. classic & lovely! Thank you! A big THANK YOU ! again love the floral stuff. Thanks so much for this. Beautiful and so perfect for tags.